Canadian Embassy Manila Processing Delay | Jason Kenney, Help! - Gateway to Canada | Canada Immigration Consultancy! 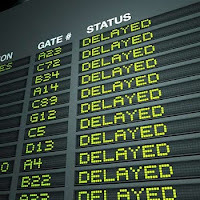 Canadian Embassy Manila Processing Delay | Jason Kenney, Help! So you are now in the final stage of your application. The Canadian Visa Office Manila requested your original passport for visa stamping and you were told that it will be issued within 90 days. But it's almost 6 months now and you're still waiting. Is there a reason to worry? What should you do? For some reason, Canadian Embassy Manila is super delayed in processing the applications and appears to be disorganized. There are those who submitted original passports for visa stamping since October 2010 and are still waiting for visa. These are applicants who have done their medical examination, paid the right of permanent resident fee and were advised to submit original passports for visa stamping. You would think that it's because of the volume of the applications they process. But there are those who have just submitted their passports and received the visa within a couple of months. Clearly, it's not just about the volume. Something is not right. This is in reply to the fax we received regarding the current status of your application. Please be informed that your application is currently queued for review. We will advise you in writing if there are important updates regarding your application or if additional information and/or documents will be required. In the meantime, your patience is appreciated as we continue processing your application. Now, the question is how often can you make a follow up? Can you do it weekly? Of course, you can send them even a daily follow up letter via mail, fax and email. But will it help speed up the process? No. In making a follow up, chose only one form of communication (mail, fax and email). Do not send multiple copies. Successive follow up of the same will not help either. If fact, it may just add up delay in the processing. There is a limited manpower at the embassy and if you make successive multiple follow ups, they may just end up opening your letters and stop processing the applications. Please be reasonable. But I'm with you. It is not right to make you wait unnecessarily. Well, if your medical examination results lapsed (good only for one year) and you still haven't got your visa, you may then be required again to undergo another medical examination. You don't want that, of course. If you have relatives in Canada, you may also want to ask them to write their Member of Parliament and complain about this delay. Let their MP's write the Canadian Visa Office in Manila. Or better yet, send a letter to the Immigration Minister and complain about this delay. You were promised 6-12 months processing from the time your application is received. Not from the time your passports are received for visa stamping. That is simply unacceptable. So there. It's either you just wait and accept that you may undergo another medical examination or do something to get your application processed without delay.